Course Feature ---- Financial Services Administration. The aim of this programme is to provide learners with the knowledge, skill and competencies to provide professional support in a financial environment both independently and under supervision. On successful completion of the programme, learners may progress to further education and Training, learners should have the knowledge, skill and competencies to provide professional support in a financial environment both independently and under supervision. Learners may become LIA Qualified Financial Advisers (QFA) within 4 yrs on completion of a total of 6 exams of which this programme offers some of these exams - Life Assurance and Loans. Course Feature ---- IT Support Specialist (ITSS). Do you want a career as an IT Technician and Networking Technician? Due to a large number of vacancies in Information Technology, Athlone Training Centre are currently recruiting for their very successful IT Support Specialist Traineeship course with certification by leading IT industry organizations CompTIA and Microsoft. The course is 56 weeks in duration and is delivered through blended learning with 2 days per week in the Training Centre and the remaining time studying at home in a time that’s flexible to you. This course also contains a valuable work experience module. Course Feature ---- Management (QQI Level 6). Start a career in Management Today, course starting in November The purpose of this course is to enable you to acquire the required knowledge, skill and competence in the theory, principles, and practice of management within a range of contexts and to enable you to work independently or in a management capacity and or to progress to higher education or training. Course Feature ----- Industrial Automation. Do you want to update your skills and gain employment as a maintenance technician? Due to a large number of vacancies in the area of Automation/Maintenance, Athlone Training Centre is currently recruiting for the very successful QQI Level 6 certified Industrial Automation Course. Let's get together to walk the Greenway for Suicide Awareness. The walk will begin at Donegans Spar Shop, Garrycastle - Athlone at 2.00pm on Sunday 09th April. The distance is what you make it, we will have distance markers up to 10km along the Greenway (Old Rail Trail) so you can challenge yourself. Car Parking is available beside Spar 60 + spaces and Athlone Training Centre - 155 + spaces. This event is being organised by T-E-N (Training Entrepreneur Newbies) a group of Adult learners engaged on a QQI-6 entrepreneurship training course ran by Athlone Training Centre - Garrycastle. The group set up this event to raise awareness of Suicide and the helpful supports that are available. The information has been compiled on their website www.t-e-n.co.nf and will be displayed at the event. Pieta House will have volunteers available on the day to help raise funds for providing vital free services, for people bereaved by suicide, in suicidal distress, or suffering from suicidal ideations and self harm. Find your nearest Pieta House by calling 1800 247 247. The walk will also support awareness of the H.S.E Assist & Safetalk training programs available, and the National Office for Suicide Prevention (NOSP) supports & services in Ireland. The Samaritans are another helpful resource and front line support for preventing suicide. The SAMARITANS provide 24 hour/365 day a year services, and people can volunteer to contribute to this work. Your support to this worthy cause would be greatly appreciated by us & Pieta House. Please bring suitable walking attire/waterproofs to suit weather conditions on day & Hi Vis Vests (for safety on the trail). Light refreshments may also be desirable & served. All are welcome to attend & we look forward to meeting you all on the day. Pieta House - authorised volunteers - will be in attendance with collection boxes to accept your donations & contributions at the meeting point. (Charity No: 16913). Go online at Pieta House - donate using PAYPAL. 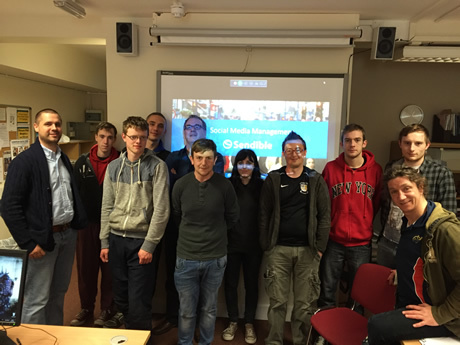 LWETB Athlone Training Centre Wed Design Course – Design Hub. For the first time the Training Centre added a Web Design Hub to conclusion of its Web Design course. The Athlone Training Centre was delighted at the success of this new module which allowed for the Trainees to successfully manage a real world Web Site design project from start to completion. The Web Design course introduces trainees to web design using HTML (Hypertext Mark-up Language) and CSS (Cascading Style Sheets). Throughout the course trainees are introduced to planning and designing effective web pages, implementing web pages by writing HTML and CSS code, enhancing web pages with the use of page layout techniques, text formatting, graphics, images and multimedia and producing a functional multi-page website using Adobe Dreamweaver and Adobe Fireworks/Photoshop. This course recognise the importance of the Digital Economy and the requirement for trained employees in this area. 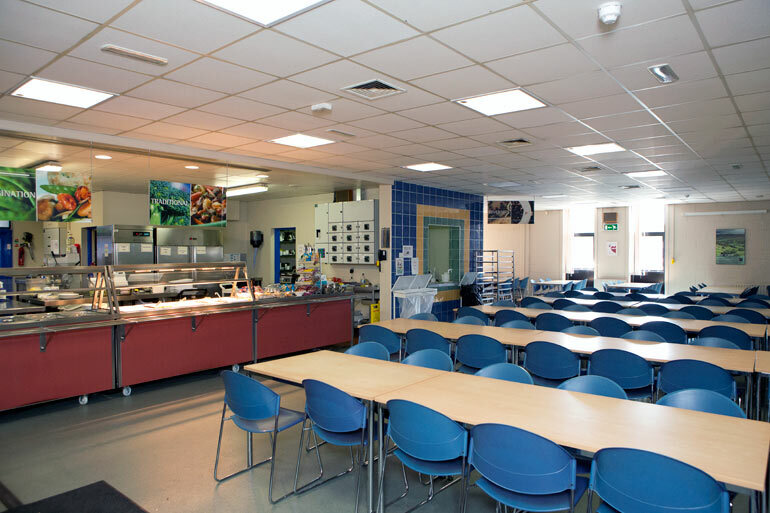 In addition to the structure course time the Athlone Training Centre decided that an extra practical element should be added to the course and to meet this goal the Design Hub was incorporated. For Hub the Trainees were divided into self-sufficient micro teams who then managed their own project through all its steps. The Trainees found the process both engaging and invaluable, surmounting many project concerns, from dealing with real clients’ needs on a one-to-one basis, optimising team dynamics to final site testing & troubleshooting. On completion on the Hub the Athlone Training Centre was delighted to host a Web Site unveiling night on which each team presented their website to their clients, members of the Athlone Training Centre management, their friends and family. The well attended evening also allowed both the Design Hub clients and the Athlone Training Centre to thank the Trainee for their designs, due care and diligence displayed throughout the process and to wish the Trainees congratulation on their successful completion of their course. 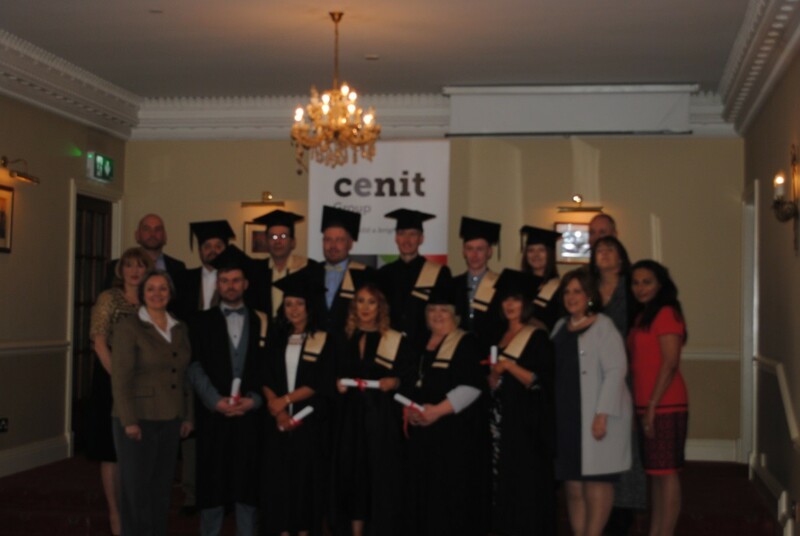 On Friday 24th March in the Greville Arms Hotel, Mullingar, 11 learners graduated from their 9 month full-time studies on a Healthcare Support course. This course was run by Longford and Westmeath Education & Training Board and training was carried out by Cenit College. 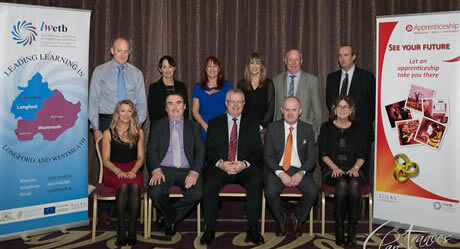 All learners graduate with a QQI Level 5 Major Award in Healthcare Support. In addition to the 8 modules on the course the learners completed 300+ hours workplace training in various nursing homes, hospitals and medical centres. They also participated in several workshops, attended an International conference and undertook industry specific further training. In the final week of the course all learners were interviewed and all have successfully secured employment in the Healthcare industry. The graduation ceremony held in the Greville Arms Mullingar was attended by Minister Corcoran Kennedy, who presented each learner with their scroll. Following on from the fantastic success of last year awards the Athlone Training Centre is delighted to have again been nominated in the Athlone Chamber of Commerce Athlone Business Awards 2017. This year the Training Centre has been Nominated in the Environmental Award Category Sponsored by Direct Medical. Athlone Training Centre (ATC) is part of Longford Westmeath Education and Training Board and is a leading provider of skills training meeting the current needs of all sectors of industry in the Midlands area. The Training Centre has a proven track record working with SME’s to large multinationals from existing to new start-up businesses. 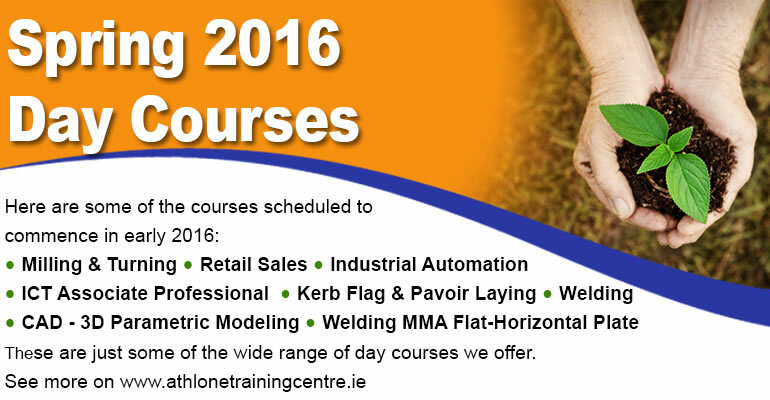 Athlone Training Centres courses are predominantly market-led. The Training Centre looks to identify local business needs, meet employer demand and train to meet these needs and provide a skilled workforce for the midlands. In 2016 over 2000 trainees successfully completed courses relevant to local business requirements. Projected figures for 2017 are in excess of 2300 including an expansion of employer led apprenticeship programmes. ATC courses are run all year round and offer QQI and industry recognised certification. Our main market focus is to meet the needs of local business and ensure are training reflects the skills that are required to meet these needs. ATC employ a wide range of local tutors who have both strong Industrial experience and excellent tutoring skills. A wide range of flexible training delivery methods are used including; In-Centre direct training, Blended learning, Evening Courses and Part-Time. 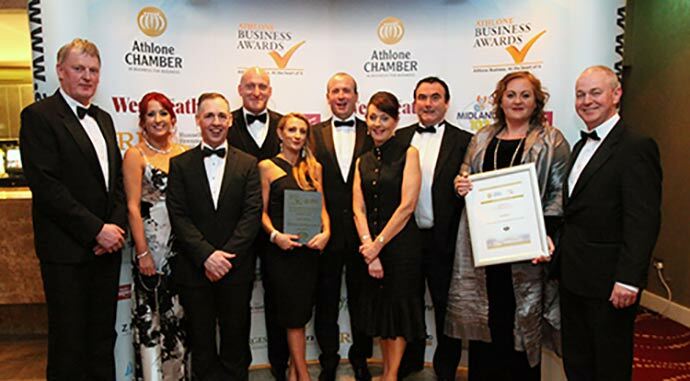 Athlone Training Centre on winning the professional service provider of the Year Award at the Athlone Business Awards 2016. 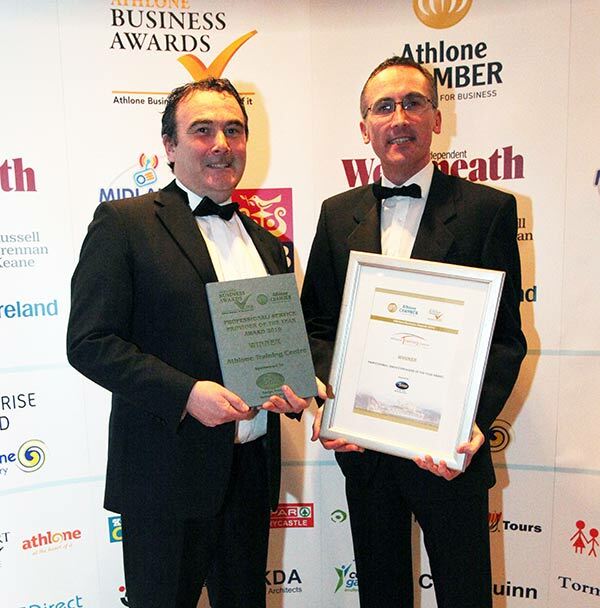 Saturday April 16th was a fantastic night for Athlone Training Centre at the Athlone Business Awards. We are so proud to have won professional service provider of the Year for 2016. It is very much appreciated to have the formal recognition and support of local businesses that value and use our services during the year demonstrated in such a tangible meaningful way. This achievement is possible thanks to our fantastic hardworking staff and tutors who make us what we are today. John Costello, Athlone Training Centre Manager said “We are delighted to win this award, it was a tough category. The genuine support and collaboration we have received from the IDA and local businesses in developing and tailoring our courses to meet local needs has been realised with this win”. Councillor Aengus O’Rourke of Snap Printing sent “Congratulations to Athlone Training Centre, winners of Professional Service Provider of the Year Award at Athlone Chamber Business Awards 2016. I was delighted to sponsor this award”. Athlone Training Centre (ATC) is part of Longford Westmeath Education and Training Board and is the leading provider of skills training meeting the current needs of all sectors of industry in the Midlands area. The Training Centre has a proven track record working with SME’s to large multinationals from existing to new start-up businesses. 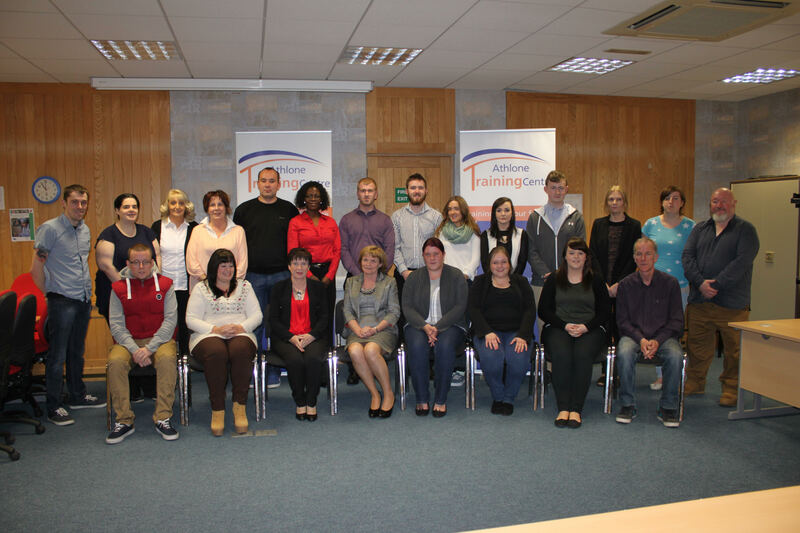 In the past 12 months Athlone Training Centre has collaborated with a number of varied local companies to deliver tailored training programmes to their specific needs. Our courses are predominantly market-led. The Training Centre looks to identify local business needs, meet employer demand and train to meet these needs and provide a skilled workforce for the midlands. In 2015 over 2000 trainees successfully completed courses relevant to local business requirements. Projected figures for 2016 are in excess of 2300 including an expansion of employer led apprenticeship programmes. LWETB Athlone Training Centre in conjunction with Athlone Institute of Technology is delighted to announce a new course called “Directions”. The aim of this course is to provide students with the opportunity to sample an array of different career options and develop the skills and direction to move forward in their career. Please check out full course details here. Athlone Training Centre would like to extend congratulations to all our graduates who received their City & Guild Level 3 Diploma in Social Media for Business at the graduation ceremony which took place recently in the Jury’s Inn Hotel, Custom House, Dublin. Athlone Training Centre was delighted to be one of the first three centre in Ireland to offer this SOLAS funded Momentum program in partnership with FIT and Cenit College. 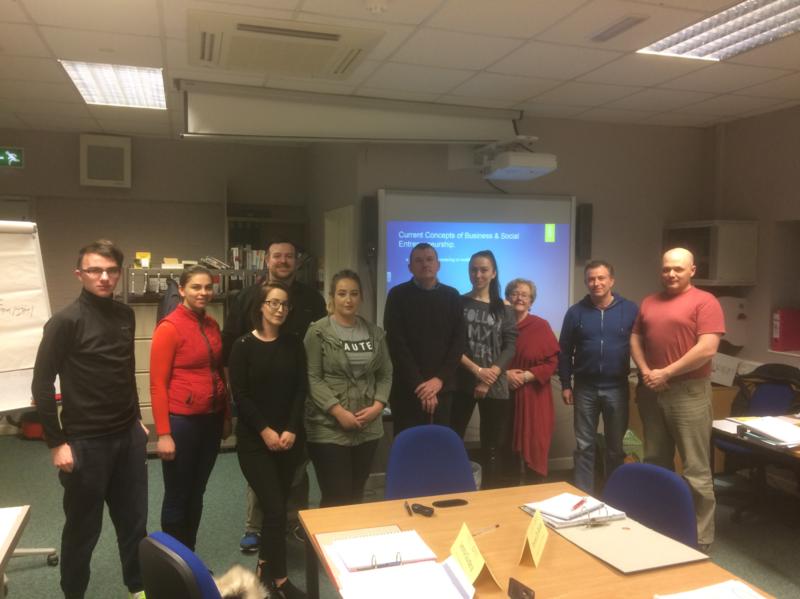 This very successful course consisted of 19 week classroom training in the Athlone Training Centre followed 13 to 17 weeks job placements in the midlands area. Athlone Training Centre is looking forward to evening courses starting in September. Please check out our full list of courses or contact us today. 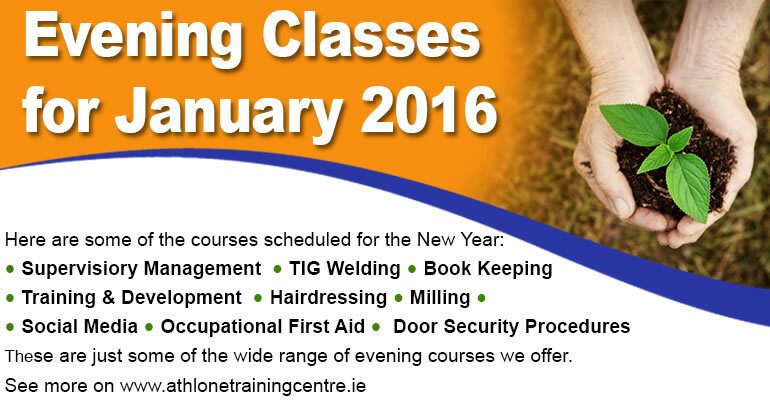 Athlone Training Centre is looking forward to the New Year with lots of courses starting in between January & March. Athlone Training Centre would like to extend congratulations to all our graduates who received their Certification at the Advanced Certificate Craft Presentations in the Mullingar Park Hotel Thursday the 6th of November. Athlone Training Centre would like to thank the Mullingar Park Hotel for the facilites and Clare Frances Photography who for the photographs of the day. Twenty four people who completed a Retail Sales course in the Training Centre start a three week work placement at the new SuperValu shop on the Ballymahon Road Athlone. During the placement the students will be given the chance to impress management at the store and potentially secure employment. After meeting with SuperValu the Training Centre designed a tailored made to meet the needs of a modern retail store. The eight week course commenced after an open where over 100 interested people expressed interest in the course. Those who took up the course are either unemployed or school leavers. There is a wide variety of experience amoungest the group ranging from 16 to 60. Some of the people who attended the open day were identified as job ready and some needed to up-skill. All this shows that Athlone Training Centre is committed to responding to local employment needs. SuperValu owner Mary Croughan is delighted that her business and the Training Centre have worked so well on this initiative. "It was a tremendous community initiative. This is a result of months and months of work. What impressed me was it was a relevant programme. We ended up with a superb programme which was really benefical and the Training Centre worked tirelessly to make it work. It is a terrific example of a partnership that works" Mary said. "Thoses who were passionate about food and good value were selected to do the course. The candidates were very enthusiastic about getting bak to work. They will be given an opportunity to make it work. The training has been so good I would be surprised if they are not successful" Mary added. Each of the trainees will be given the opportunity to push for various sections of the store including the bakery, off-licence, deli, in administration or the bak store. It's all about getting a match. That is what about the three weeks is about. They will see the store going from bricks and mortar to a live store. Longford and Westmeath Education and Training Board (LWETB), in partnership with Cenit College and the Institute of Certified Public Accountants in Ireland (CPA Ireland), have announced details of an initiative for school leavers seeking a career in accountancy. The CPA Accounts Executive Traineeship is a one-year, full-time academic programme followed by a three-month training contract. Students can progress to further accounting studies with CPA Ireland on a part-time basis, supplemented by three years supervised training in a work environment to become fully qualified accountants. The programme is a fully funded direct route into a career in accountancy for students who are, perhaps due to financial or logistical reasons, unable to attend higher education to complete a primary business or accounting qualification. The programme will launch in Athlone. The tuition will be delivered in lectures at the LWETB Athlone Training Centre by Cenit College, a CPA gold star approved learning provider with experienced lecturers from a range of accounting and financial backgrounds. Subsequently the programme will be rolled out on a national scale. 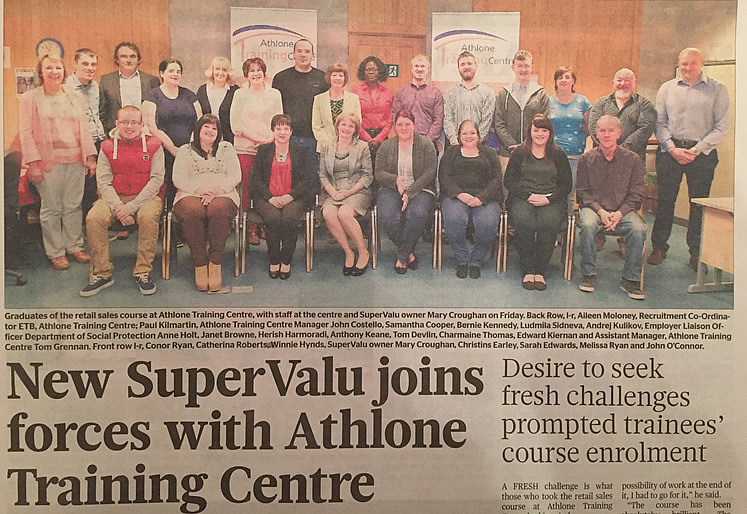 Athlone Training Centre in conjunction with the Department of Social Protection, are running a Retail Sales course to meet the employment demands of the new SuperValu Store opening in Athlone. This is an exciting opportunity for people with or without retail experience to up-skill to work in a growth area and to have the opportunity to work with Irelands largest grocery and food distributor. Athlone Training Centre invites interested applicants to attend a briefing session in Athlone Training Centre on Tuesday 30th June at 10.00am This session will fully explain the course and a representative from Supervalu will be also be in attendance. Mullingar Chamber of Commerce and the Westmeath County Council are organising a Midlands Industrial Expo Event on Thursday 18th June in the Mullingar Park Hotel. Aimed at providing a forum for midlands based SME Companies to meet with the key decision makers and buyers of large multinational and indigenous companies. In addition, there will be a series of Industry Seminars during the event on topical issues. Details to follow. The initiative is being supported by Enterprise Ireland and the IDA, who see this as an opportunity to encourage local sourcing in Ireland and stimulate growth in the midlands region. Athlone Training Centre attended the event to promote the Centre and its courses and to promote the Centres approach to training in Manfactoring Engineering. Athlone Training Centre designed a new blended 3D Solidworks course which was initiated to supply qualified people in the Engineering and Medical Device Design industry. The course is based on on-line learning material which was developed by Athlone Training Centre and leads to Industry Specific Certification. The learners work through the self-paced learning material and attend the centre two days per week where tutor support is available. The learner can then sit for their exam in the on line test room at the Athlone Training Centre. The initial idea for the course came about when the centre worked with a new Medical Device Design company and recent graduates from the course have started employment with this American Company. The successful learners spent three weeks in Detroit USA where they worked with US designers in preparation to commence working with management and engineering teams on the European launch. Mr Edmond Brady, Manufacturing Manager, Renew Heath praised “The excellent calibre of trainees completing the Solid works classes have been of great help to Renew Health. I would like to take this opportunity to thank the tutor KK Kenny and the centre for the excellent support that I received during this critical stage of setting up our operation in recruiting our initial team. This team will help the company get out the highest quality device to our customers which will be key to our success and future growth. I envisage this to be the start of a long term partnership with the centre”. The new state of the art Plumbing Building is completed and it is envisaged that we will have an official opening later in the year. This New programme is a partnership between Athlone Training Centre (Longford Westmeath ETB), Cenit College and The Institute of Certified Public Accountants in Ireland (CPA Ireland), to offer an unprecedented opportunity to school leavers and unemployed to access a career as a professionally qualified accountant. Through the combination of the ETB school network, Cenit College educators and the practice and industry training opportunities provided by over 4000 qualified CPA members, we can bring about a change to the traditionally limited choices outside of the CAO system. To qualify for this programme, a student must obtain a pass in at least six subjects in the Leaving Certificate, three of which must be grade C or higher in three higher level papers. Two of the six subjects must be English or Maths. All applicants will be interviewed to determine whether they have suitable commitment and ambition to exploit the long term opportunities of this unique programme. This is not just another business or book keeping course, this is the first step to becoming a fully qualified professional accountant. This programme incorporates CPA professional tuition and work experience in either accounting practice or business, with relevant accounting, business and IT skills. The added focus on IT and ‘real world’ skills ensures that upon completion, the student has the relevant experience, technical and professional skills to enter into a multitude of business roles at entry level. It is likely that having trained a student for 3 months during the traineeship element of this programme, the employer would keep on the student for that trainee role long term, as the investment in their cultural adaptation to the particular practice or industry environment has already been achieved during that time. This programme is suitable for school leavers who are serious about a career as a professional accountant, both from the academic challenge it presents and the commitment to the training element involved. The programme is primarily aimed at school leavers who wish to proceed to third level education outside the CAO system or simply cannot afford college education. However the programme is also suitable for any prospective student on the live register hoping to pursue a career in business or accounting or simply to gain their first step back onto the employment ladder. This course will be launched in April 2015 with a start date of September 2015. Entrepreneur and philanthropist Bill Cullen devoted an afternoon to give a talk to learners attending the Business Management and Office Administration courses run by Athlone Training Centre. The topic of the lecture was “Survive and Thrive in Tough Times”. Mr Cullen drew comparisons between the current economic climate and that which he experienced growing up in the impoverished Dublin inner city. Learners listened attentively as Mr Cullen gave advice on how to find success in their careers, remain positive and stay healthy. Mr. Cullen recalled past achievements but also described his current challenges, in particular his on-going battle with various lending institutions. Despite the David and Goliath battle facing him, he continues to remain positive. And it is this message that he conveyed to students currently seeking employment. His message to them, once they have found employments is, “Do more than you are paid to do, and soon you will be paid more”. Mr Bill Cullen with the Business Management learners. "The ITSS course in Athlone gave me the skills and confidence to apply for and get these positions, but also to be successful in them. I would highly recommend this course for anybody changing careers or starting out in IT"
"The pneumatic module was very beneficial to me as I had never worked with pneumatics before and now I am grateful because I work with electrical and pneumatic controlled robots everyday. This, along with my now broadened knowledge of working with PLC's is what landed me the opportunity of a life time"